The title Triplicate serves two purposes. 1) It's a three-disc album that consists of covers plucked from the Great American Songbook. 2) It's Bob Dylan's third album in a row to do just that. Fans who have listened to Shadows in the Night and Fallen Angels know exactly what to expect here, and Dylan delivers beautifully. I could listen to these albums all night long. They're smooth, they're relaxing, and they're just wonderful music. 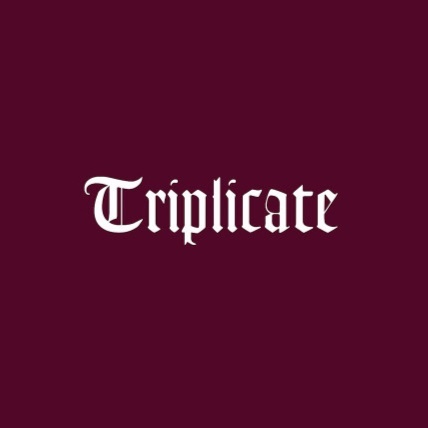 For Triplicate, Dylan took it even one step further and designed it like 78 RPM records from the first half of the 20th century. I purposefully purchased the deluxe edition packaging, which is bound kind of like a book, more accurately representing old 78 packaging. I've always been a Bob Dylan fan, but Shadows in the Night, Fallen Angels, and Triplicate, if you'll pardon the pun, show Another Side of Bob Dylan, one that I love and cherish along with all his greatest hits.